[3,4]. It has been previously suggested that wax coverage on plant surfaces decreases locomotory activity of insects, and this prevents insects from robbing nectar and other resources [5-8], protects plants against insects and herbivores [7,9-19], and precludes the escape of insects from traps in carnivorous plants [7,13,20-24]. A few studies have experimentally shown that the wax crystalline coverage affects insect attachment. It was found for several insect species that they can attach well to smooth substrates, without wax or with wax bloom removed, whereas they slip from the waxy surfaces [8,11-13,16,19,22,23,25-27]. The experiments with various plant substrates (99 surfaces of 83 plant species), among them smooth, hairy, feltlike, pruinose, and glandular ones, and the beetle Chrysolina fastuosa showed that the insects were not able to attach to any of 17 pruinose surfaces, whereas they performed well on all other surface types . After having contact with pruinose substrates, insects were observed to clean their attachment devices, and within a short time, they regained full attachment ability. To explain the reduction of insect attachment on pruinose substrates, Gorb and Gorb  had previously proposed four hypotheses. (1) Wax crystals cause the microroughness, which considerably decreases the real contact area between the substrate and setal tips of insect adhesive pads. (2) Wax crystals are easily detachable structures that contaminate the pads. (3) Insect pad secretion may dissolve wax crystals; this will result in the appearance of a thick layer of fluid, making the substrate slippery. (4) Structured wax coverage may absorb the fluid from the setal surface. In previous studies, some data confirming the hypotheses, e.g., the roughness hypothesis , the contamination hypothesis [11,12,20,21,23,30,31], and the wax-dissolving hypothesis , were obtained. These data usually dealt with just one or a few substrates and did not analyze wax features, which might be responsible for a particular effect. So far there is no direct evidence to support the fourth hypothesis. This study was undertaken to show the influence of the plant surfaces structured with crystalline waxes on insect adhesive pads of the hairy type. The aim was to prove experimentally the contamination hypothesis using a model insect species and compare a number of plant surfaces. The beetle Chrysolina fastuosa Scop. (Coleoptera, Chrysomelidae) was tested on pruinose plant surfaces that differed in the structure of their wax coverage. Young stems, adaxial surfaces of leaves, and fruits of 12 plant species were used as substrates. The same insect and plant species were previously used in the experimental study on the insect attachment ability on various plant substrates . The following questions were asked: (1) Do all plant waxes contaminate insect pads? (2) Do the degree and the nature of contamination vary depending on the plant species? (3) How do the shape and the dimensions of wax crystals affect pad contamination? 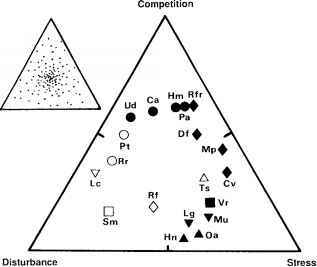 FIGURE 7.1 Diagram of the variables used to calculate aspect ratios of wax crystals having various shapes. (A) Platelets (platelike shape). (B) Tubules (tubelike shape). (C) Terete rodlets (filamentous shape). (D) Polygonal rodlets (ribbonlike shape). V, the largest linear variable; Vs, the smallest linear variable. filamentous, ribbonlike, tubelike, and platelike structures) and the smallest linear dimension (the diameter in filamentous, tubelike structures; the thickness in platelike and ribbonlike structures) (Figure 7.1). For measurements, SigmaScan 5.0 software (SPSS) was employed.